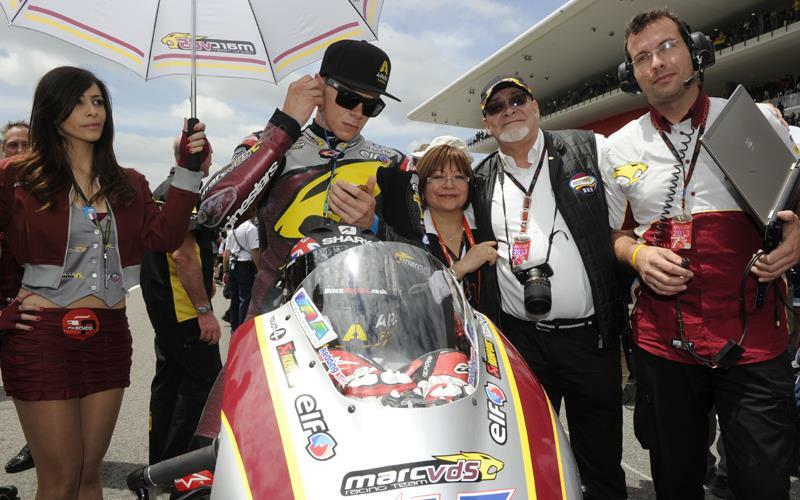 Scott Redding’s Marc VDS Racing squad would have been willing to move to MotoGP with the British rider next season if the Belgian-based team could have secured the lease of a factory prototype from Honda in 2015. The Moto2 world championship leader’s future has been the subject of intense speculation until he inked a two-year deal with Fausto Gresini’s Honda squad that was confirmed in Silverstone last weekend. The 20-year-old had been negotiating a range of deals that could have seen him riding a Yamaha YZR-M1 engine in a Kalex frame, a Ducati Desmosedici or a production Honda RCV1000R. Redding’s final decision will see him campaign a production Honda before moving to a prototype RC213V with Gresini’s squad in 2015. Redding’s Belgian-based Marc VDS Racing squad had seriously contemplated buying an RCV1000R to keep him on board. But with no opportunity to lease a factory prototype RC213V for 2015 because of Honda’s long-standing and loyal relationship with Gresini and Lucio Cecchinello’s LCR outfit, Marc VDS will remain in Moto2 and Moto3. Marc VDS Racing boss Michael Bartholemy told MCN: “We had some hope that we could move into MotoGP together with Scott but the biggest problem was we never had any guarantee from a manufacturer that we could have a factory bike for the second year and that was a shame because most people know we have the financing.